The De Pere Historical Society's White Pillars Museum is housed in an 1836 Greek Revival building. De Pere, Wisconsin, (population 22,229) is located on the Fox River, five miles south of Green Bay. The city dates back to 1671, when the St. Francis Mission was founded on the river’s rapids. The De Pere Manufacturing Company was established in 1829, and in 1849 a new dam harnessed the power of the river and created industrial opportunities, bringing German and Dutch immigrants to the area. Today De Pere is home to a number of major industries, particularly paper and food manufacturing. Brown County and the Fox River Valley boast the highest concentration of paper manufacturing companies in the country. From 2004 to 2006, the De Pere Historical Society restored and relocated the historic Polo-Resto gas station, situating it along the entrance to the Fox River Recreation Trail, which hosts more than 100,000 visitors each year. The service station was built in 1925 and was originally located across the road from a farm where polo matches took place. 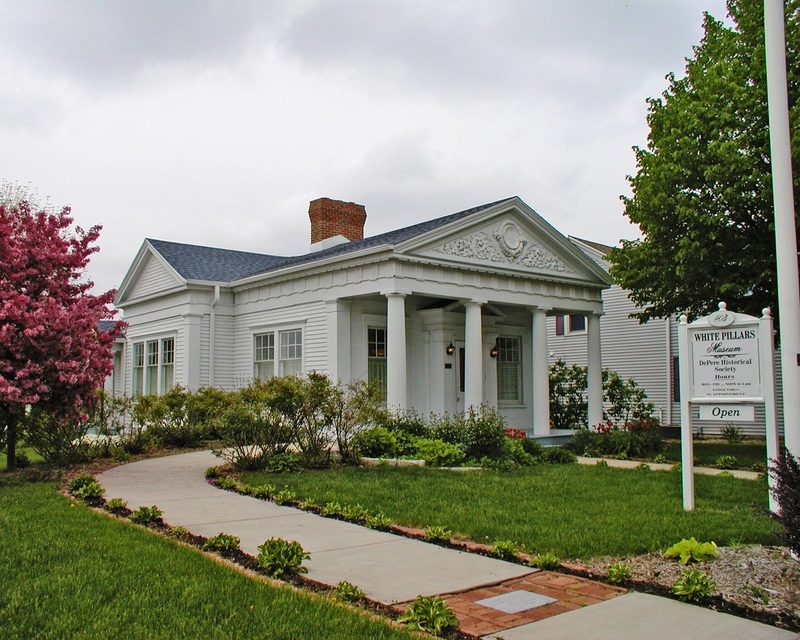 The White Pillars Museum in De Pere is housed in an 1836 Greek Revival building and features a monthly program showcasing local historic photography. The Heritage Hill State Historical Park, which encompasses 48 acres of historic buildings, gives visitors the opportunity to barter with fur traders, march in a military drill, watch blacksmiths pound iron, and make butter—each activity representing a different period in De Pere’s history. The city hosts the annual “Celebrate De Pere” festival, featuring an arts and crafts display, art sale, and a variety of musical performances.